When moving, there are all kinds of pieces that need to fit together for a hassle-free experience. When those pieces don’t fit seamlessly, your move becomes an even larger struggle. One of the biggest problems that often occurs is when you need storage while in between homes. A common hiccup in many moves is when the timing doesn’t work out. Your family has tons of boxes and bulky furniture that starts piling up. You need to move it out of your current home right away, but you don’t have a place to put it all. 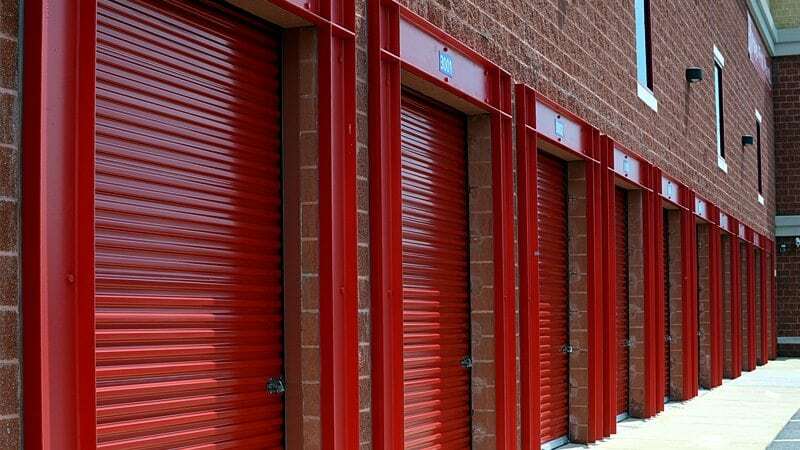 Having a storage unit gives you the freedom and flexibility you need to take your time as you sort through your things, deciding what gets to stay and what has to go. Even when everything goes according to plan, there are many reasons why having a storage unit at your fingertips is a useful tool when you are moving. Fortunately, Marrins’ Moving is here to help with all parts of the moving process from beginning to end. We’re here to help you pack up and transport boxes from your old home to the new one, and we also offer full service storage options. We have a range of moving storage services for those times when you find yourself in a jam, or if you need the extra space to help organize your move. At Marrins’ Moving, we understand that the financial strain of moving can hit many families hard. We strive to keep your costs down with convenient and affordable storage options. Other facilities charge you for full units regardless of how much space you’re using. However, our storage facilities only charge for the amount of space you use to store your items. Our friendly, on-site staff will help you maximize available space for your belongings while still keeping them safe and ready for your new home! Whether you’re tackling a residential move, moving your business to a new location, or need document storage, we have the right option for you. Our full service moving storage complements our residential moving services and our commercial moving services. Our staff is trained to move and store your items and secure documents with privacy and care. When you choose Marrins’ Moving for your moving storage needs, you can trust that your possessions will be safe. We have been Raleigh-Durham’s trusted partner in moving for over twenty years. Since opening in 1997, we’ve maintained the highest standards in the moving industry. Through our commitment to quality, we’ve also partnered with North American Van Lines. This exclusive partnership is one more reason you can count on Marrins’ Moving for storing your possessions. If you’re looking for warehouse usage, storage in transit, or on-site storage, our storage facilities are the perfect place to keep your things. We’re also happy to provide complimentary moving boxes, free packing tape, and blankets to make sure you have everything you need to make sure your move is a success. Are you planning for your next move and need to know what your options are? Have you found yourself in a sticky situation and require storage for your boxes and furniture immediately? Marrins’ Moving is at your service, and we’re ready to organize a headache-free move. Call us today at 919-373-3985, and one of our customer service specialists will walk you through a personalized plan designed to meet your needs. Don’t forget to get a free quote for your move as well.